Today we launched an API tool allowing captured data to be automatically inserted into QuickBase. 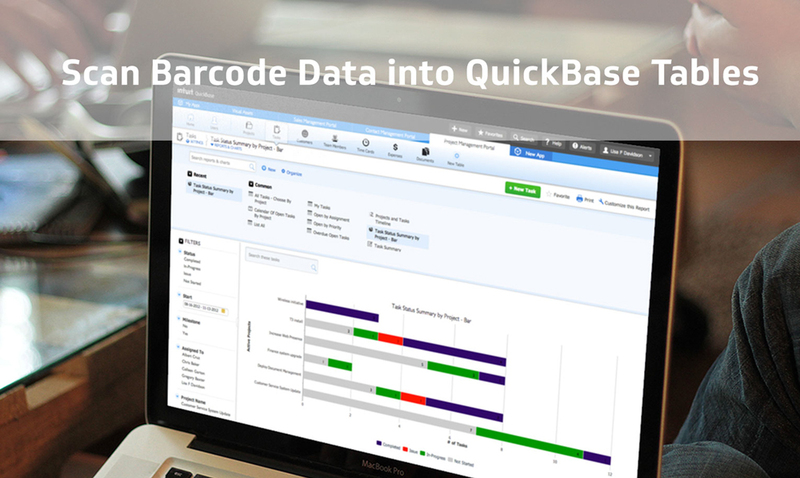 Quickbase is a customizable, cloud-hosted, third-party database service hosted in the cloud. In other words, you can now use codeREADrs as a database scanner! Our app-users have been scanning, validating, and posting data using iOS and Android cameras for years now. This data includes barcode data, timestamps, GPS locations, photos, and forms. As always, no scanning accessories are required. However, we continuously aim to improve data capture and collection. We focus on fast scanning and the convenience of relying on iOS and Android cameras. Now, we have another tool. codeREADr lets you automate the insertion of captured data into cloud-based databases like QuickBase. The app creates formal scan records consisting of the barcode value and associated data. This includes timestamps, location, and visual evidence. It might also include answers to conditional questions presented to app-users after scanning. If their device has internet connectivity, scan records are inserted in real-time. If network or Wi-Fi connectivity is slow or unavailable, no worries. Scan records are stored on the device until connectivity is restored. Our app’s SD PRO camera-based scan engine can read forty-seven barcode symbologies. These include those printed on IDs, badges, tickets, industrial assets, consumer goods, invoices, receipts, packing lists, shipping labels, and more. It can quickly and accurately scan virtually any barcode. The most complex, small, and badly damaged ones are all viable. On the reporting side, our clients use our servers to view, filter, export, and share their scan records. They do so in the form of templates. However, a number of clients wanted more. They wanted to insert those records directly into third-party databases. In other words, a database scanner. We listened to their needs. We enabled that with our API. The best part? That API requires NO coding. This tool is the first of many we will offer in the coming months. None require any coding. So, what’s next? Please click here for instructions for setting up your API to QuickBase.